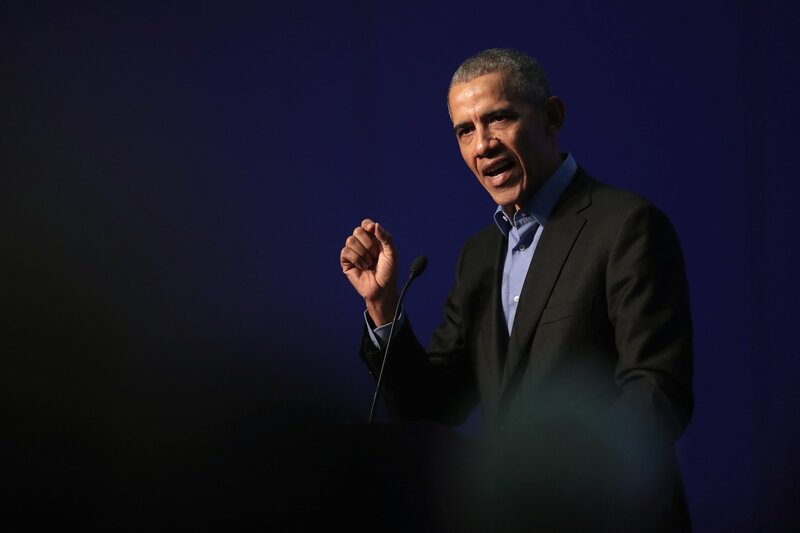 While speaking at a town hall in Berlin, Germany, on Saturday, former President Barack Obama addressed divisions within the Democratic party and outlined his concerns about the fiercely partisan political climate. “One of the things I do worry about sometimes among progressives in the United States—maybe it’s true here as well—is a certain kind of rigidity where we say, ‘Oh, I’m sorry, this is how it’s going to be,” Obama said at the town hall, organized by The Obama Foundation. “And then we start sometimes creating what’s called a ‘circular firing squad’ where you start shooting at your allies because one of them is straying from purity on the issues. Navigating compromise, he said, was “necessary for everyone.” He cited as evidence his efforts to ratify the Paris Climate Agreement and push through the Affordable Care Act. Organized by The Obama Foundation, the town hall brought together more than 300 young leaders from private, public and nonprofit institutions and organizations, according to a statement. The speech, designed to foster civic engagement, was following by a question-and-answer segment during which the former president touched on a range of topics, from inequality to climate change. At one point, he warned against rising nationalism and the “bloodshed” that follows such positions. He also praised Europe for its rising standard of living, calling it the “pinnacle of human well being” and credited the spike in education rates and economic wealth to Democratic policies. “We have to recognize that this moment is full of contradictions,” he said. “Europe in 2019, in some ways, has achieved the pinnacle of human well being. Collectively in Europe right now, on average, you probably see the highest standards of living of any group of people in the history of the planet. Fostering civic engagement and working across political divisions is key to addressing those issues, he said.